We saw this make in a Rainbow Fairies magazine and immediately wanted to try it. What wonderful Christmas decorations we could make this year, we mused. 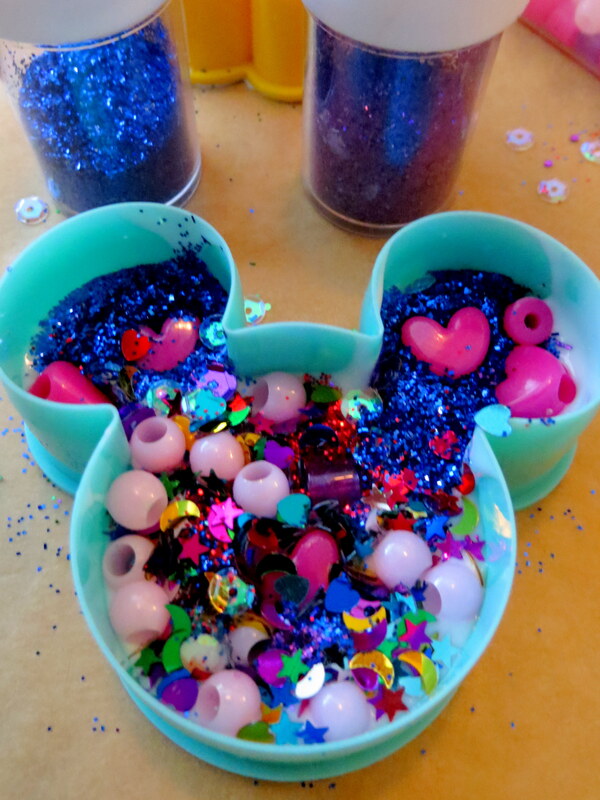 PVA glue, cookie cutters and sparkles. How much easier (or fabulous) could it get? Set your cookie cutter on some baking paper, pour in some pva glue and top with glitter and beads. Let it dry overnight and voila – a pretty glitter shape. This year we’re having an 80s Katy Perry Halloween. California gurls and Roar are heavily featured – along with tutus and neon.